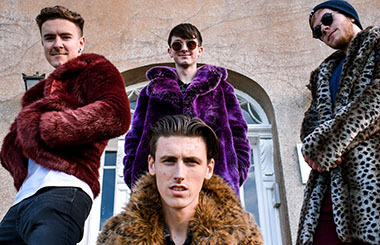 Following the release of their debut single ‘The Apple Truck’ and an ensuing tour around Ireland, Gorilla Troubadour have made a name for themselves as gritty rockers, combining powerful riffs and ear catching hooks. Over the summer they played at festivals such as Townlands Carnival and Gael Linn. Other highlights include a headline in The Workman’s Club as part of Gigonometry and packing out Geoff’s Bar in their hometown of Waterford. The band recently headlined The Workmans Club on the 17th of January to a full venue. The launch gig for ‘Tom Cruise Does All His Own Stunts’ is scheduled in Whelans on for the 19th of February. Also planned are launch dates in venues all across the country as the band look to build on their success of 2018. Hannah, Fiachra and Ciaran began writing music together in March of 2018. Their shared interest in artists such as Ben Howard, Alice Pheobe Lou, King Krule and Peach Pitt helpe cultivate their early sound. As the group became more serious they enlisted the help of bass player Aran Hopkinson in September 2018. They played their first headline show to a sold out crowd at Whelan’s on the 25th of October, 2018. On foot of this performance they were immediately booked for shows at the button factory, Workman’s club and the Crowbar as well as recruiting the final member of the band, drummer, Cian O’Leary Hegarty. The group plan to gig and tour extensively for the summer with recording and releases planned for early 2019.